The Institute of Occupational Safety and Health (IOSH) funds and takes part in health and safety research and development, not only are IOSH the biggest health and safety membership organisation in the world, they are also a world leader in health and safety training with over 130,000 people taking an IOSH course yearly. Project Skills Solutions are accredited by IOSH to deliver courses at training centres across the UK, if you have a group that needs training we can deliver courses at your venue. Onsite training often works out more cost effective than joining an open course, plus your staff get to learn alongside others in your organisation. The IOSH Managing Safely course is designed to teach managers and supervisors from any industry exactly what they need to know to perform their role safely and the regulations they must follow to ensure they meet government health & safety regulations and law. 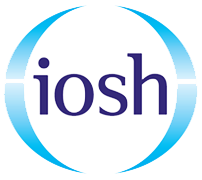 The IOSH Working Safely course provides workers with the knowledge required to ensure they work in accordance with health & safety regulations, often our clients will train groups of their staff together on site, saving time and money. The course is aimed at employees of any level, in any sector and meets government standards and guidelines for introductory health and safety training all in one day. Speak to our training team today for an affordable way to train your team, call 0800 0213 263 or chat online now.